How do I Reduce Shoulder Pain Symptoms? 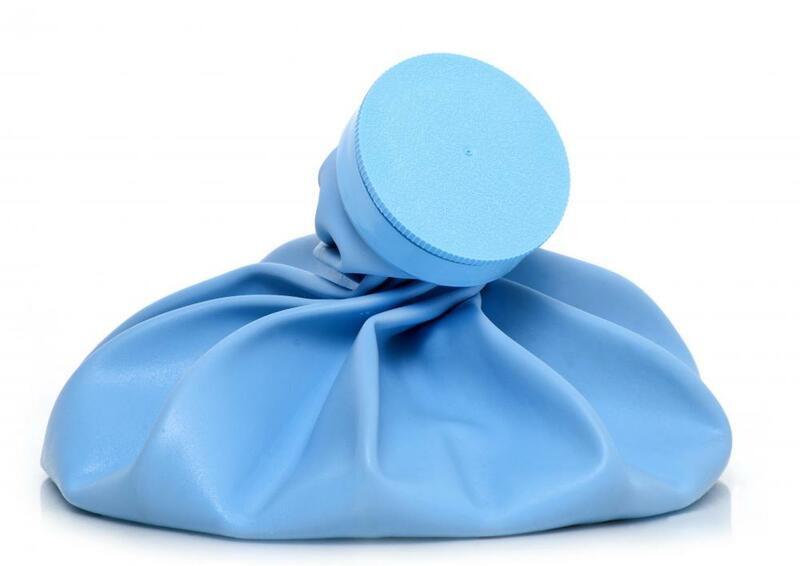 An ice pack, which can reduce shoulder pain. Cutting back on activites may relieve shoulder pain. If the intensity of shoulder pains continue to increase, a person should visit a physician immediately. A pain in the neck may be more personally irritating than a pain in the shoulder, but the latter can have health implications that are far more serious. Any kind of ache in the shoulder area, particularly if it is sharp and comes on quickly, could be an early warning sign of significant damage. On the other hand, that very same nagging twinge could be nothing but a sign of advancing age. If you’re not in constant or severe pain, then there is probably no need to speed to an emergency room. You should take some precautions, however, that might help reduce shoulder pain symptoms. To help reduce shoulder pain symptoms, follow the process – commonly remembered as “RICE” – that applies to all potential sprain and strains. RICE stands for rest, ice, compression, and elevation. These techniques should be utilized for two to three days. If they fail to reduce shoulder pain symptoms during that time, or if the intensity of the symptoms increase, then you should visit your physician immediately. Your first move to reduce shoulder pain symptoms is to take it easy. Don’t go out and toss a football, and don’t engage in any weight lifting. You’ll want to keep your shoulder as immobile as possible for 48 hours. If you’re the energetic sort that simply can’t sit still, you’re going to have to force yourself to learn the art of lethargy. If you have the gift of latent laziness, simply kick back, read a new novel, or rent a stack of movies. Apply an ice pack to the area that hurts. Leave it there for 20 minutes, and repeat the process up to eight times a day. A cold pack that is kept in your freezer is best, but you may also fill a plastic bag with ice and wrap it in a towel. This may leak a bit, which makes the investment in an inexpensive cold pack or two well worth the cost. Don’t put ice directly on your skin, for the only thing worse than an aching shoulder is an aching shoulder with frostbite. For best results, when attempting to reduce shoulder pain symptoms, make certain the afflicted area is under some sort of compression. Wrap an elastic bandage over and around the area, but don’t make it so tight that you cut off circulation. A pad under the bandage – even a very small pillow will work – might bring some relief. Finally, it is important that you keep your shoulder elevated. In other words, sit up rather than lying flat on your back. You can recline, as the key here is to make sure your shoulders are higher than your heart. The best method for elevating your shoulder is to retreat to the most comfortable recliner in your home. View your shoulder pain as a rare opportunity for total relaxation, and don’t hesitate to let others wait on you hand and foot. How do I Choose the Best Shoulder Ice Wrap? How do I Treat Chronic Shoulder Pain? What Should I Expect from Shoulder Surgery?